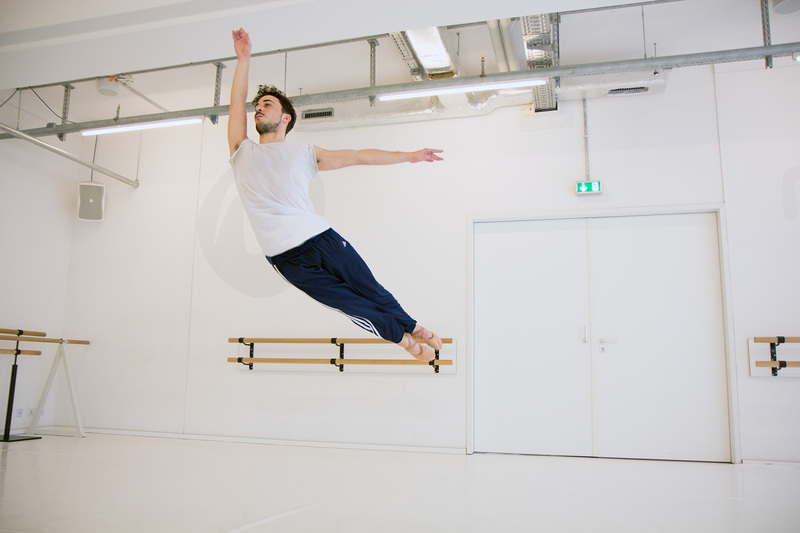 The ballet professional training by Jo Siska is a training for professional dancers in the motion*s in Berlin-Kreuzberg. It takes place 4 times a week. In Jo’s class for professional dancers he combines the basics of classical dance and the traditional movement vocabulary with the scientifical findings and the basic principals of motor skills. The focus lies on the body positions and the awareness of your natural movement and energy pattern as well as how these are connected with each other. Motion sequences are connected dynamically and rhythmically in a way that you can see and feel the flow of your motions. Relaxation that is created within this flow prevent injuries. Suitability for the professional ballet training advanced and professional dancers have the chance in this class to increase coordination through dynamic and rhythmically linked dance sequences.The class targets relaxation and the flow of movement.